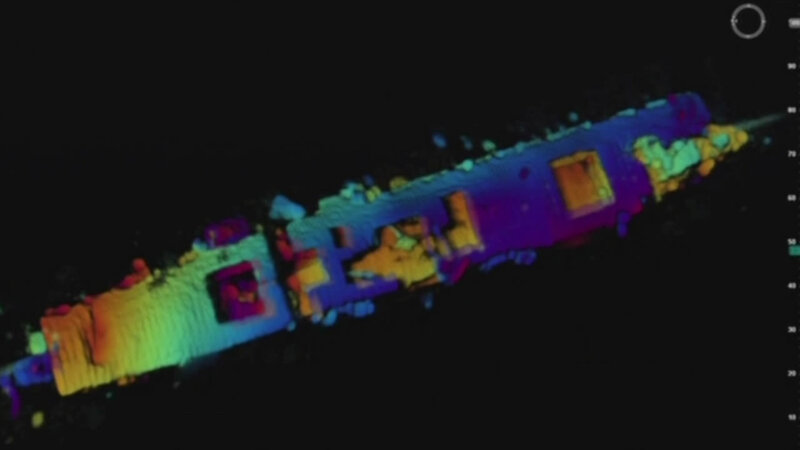 FARALONES MARINE SANCTUARY, California -- The National Oceanic and Atmospheric Administration confirmed the location of a sunken WWII aircraft carrier off the coast of Half Moon Bay. The U.S.S. Independence is resting under 2,600 feet of water in the Faralones Marine Sanctuary, where it was intentionally sunk more than 60 years ago. 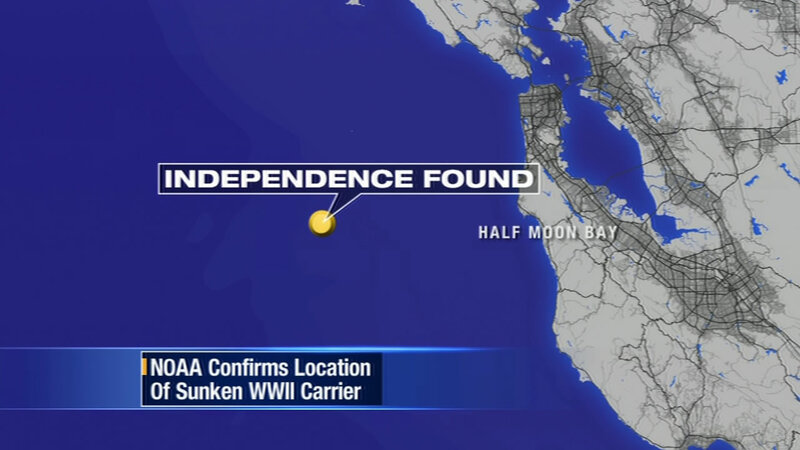 This map shows the location of the sunken U.S.S. Independence, resting under 2,600 feet of water in the Faralones Marine Sanctuary off Half Moon Bay, Calif.
Radar images provided by NOAA and a Boeing submarine show the carrier is amazingly intact, with its hull and flight deck clearly visible. It is one of an estimated 300 ships that have gone down off the coast and it's the deepest known shipwreck in the sanctuary.